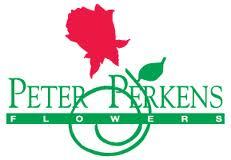 Flowers by Peter Perkens Inc. proudly serves the Visalia area. We are committed to offering only the finest floral arrangements and gifts, backed by service that is friendly and prompt. Because all of our customers are important, our professional staff is dedicated to making your experience a pleasant one. That is why we always go the extra mile to make your floral gift perfect. Let Flowers by Peter Perkens Inc. be your first choice for flowers. Closed on most major Holidays. ** Subject to change without notice. *Monday-Friday: 8:30am - 5:30pm Saturday: 9:00am - 3:00pm Sunday: Closed ORDER BY PHONE 24 HOURS A DAY at 559-734-6788 Or here ONLINE ! Closed on most major Holidays. ** Subject to change without notice. Interior Floral Design and Decor for Home or Office! * We also offer the service of routine (weekly, bi-weekly, monthly) floral deliveries to local businesses and restaurants, in-home decorating for parties, and seasonal decor (i.e., Christmas Tree decorating/decor). Call us to make an appointment!!! 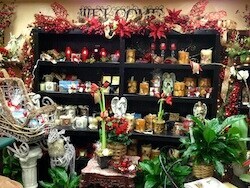 And ... an ever-changing inventory of decor and gifts!! Standard local delivery fee is $9.95 per order in town Visalia. If you have a delivery going to a Kaweah Delta Hospital or one of our local Visalia funeral homes, please call us to place your order as the delivery charge is ONLY $5.95, but we aren't able to offer this option upon checkout on this site. Rural deliveries cannot be guaranteed and may be subject to an additional delivery charge. Deliveries to nearby towns are assessed a delivery fee particular to their zip code, which can be viewed during your order confirmation. Please note: Orders sent/wired to out-of-town florists must be received by 12:00 pm in the recipient’s time zone to promote same-day delivery and are subject to the forwarding florist’s delivery policies. All orders are subject to availability of product(s) and/or specific flowers shown on website. Care is taken to maintain the style, theme and color scheme of the arrangement, using flowers of equal value. In the event that we are unable to replicate the order based on the website specifications, we will do our very best to create a similar looking product. Additionally, the substitution of certain keepsake items may be necessary due to increased demand, especially during major holidays. We will also do our best to contact the customer and make substitutions based on customer approval. However, in order to complete the order by the date requested, we reserve the right to fill the order to our preference, if contact is not made with customer. Please make sure to provide immediate contact information in order to expedite the processing of the order. Visalia, Tulare, Exeter, Farmersville, Goshen, Ivanhoe, and Woodlake. *Add'l locations may be available.